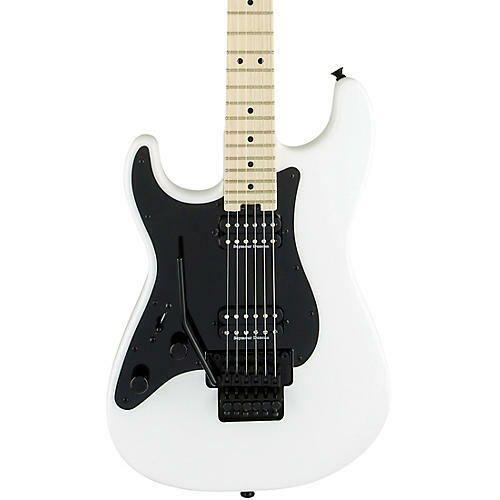 Hot-rodded for unparalleled performance and versatile sound, this instrument hosts a high-output Seymour Duncan TB-6 Distortion humbucking bridge pickup and a warm, fat Seymour Duncan SH-6N Distortion humbucking neck pickup for killer tone. The volume control hides a push/pull coil split for even more highly useful tonal variations, ideal for everything from a biting lead sound to thick, chunky rhythm work. Scream or rumble with the Floyd Rose 1000 Series double-locking tremolo system without sacrificing tuning stability or the pinpoint intonation.